Elyse Allan, President & CEO of GE Canada and a passionate champion for Canada’s competitiveness was a guest speaker for the CEO Speaker Series in February. The CEO Speaker Series provides an interactive opportunity for Desautels MBA & Masters students to learn more about the businesses and life philosophies of prominent leaders. This series is made possible through the generous support of RBC Global Asset Management. For more information, please email alexandra.cohen2 [at] mail.mcgill.ca (subject: CEO%20Speaker%20Series) (Alexandra Cohen). Kevin Lobo is the Chairman and CEO of Stryker, one of the world’s leading medical technology companies. Mr. Lobo first joined Stryker in 2011 as Group President of Orthopedics, and assumed the role of CEO in 2012. Mr. Lobo has had a broad business career that includes executive positions in general management and finance. After holding finance positions with KPMG, Unilever and Kraft Canada he spent eight years with Rhone-Poulenc, including roles based in Europe as Worldwide Corporate Controller of the chemical spin-out, Rhodia and General Manager of Specialty Phosphates EMEA. He then spent eight years at Johnson & Johnson, including CFO of McNeil Consumer Healthcare and Ortho Women’s Health & Urology, President of J&J Medical Products Canada and President of Ethicon Endo Surgery. Craig Buntin, MBA’13, is a former pair skater. He is the co-founder and CEO of SPORTLOGiQ, an AI-powered sports analytics company based in Montreal.With former partner Meagan Duhamel, he is the 2009 Canadian silver medalist, the 2008 & 2010 Canadian bronze medalist, and the 2010 Four Continents bronze medalist. With Valérie Marcoux, he represented Canada at the 2006 Winter Olympics, where they placed 11th. ​​Terry Yanofsky is the Senior Vice President and General Manager of Sephora Canada, a global prestige beauty retailer with 3,500 employees across the country. In an industry undergoing massive change and challenges, Terry is a creative thinker and dynamic leader, skilled at building teams around a strong vision and moving organizations towards their goals. Terry began her career as an entrepreneur, and has held previous executive leadership roles at Limited Brands, Intrawest, and IKEA. As a member and chairperson of the MBA Mentoring Program Advisory Board at McGill University from 2011-2014, Terry has a passion for supporting Canada’s next generation of business leaders. ​​Kareen Rispal has been Ambassador of France in Ottawa since April 2017. Ms. Rispal holds a master’s degree in Law and an alumnus of the Institut d’études politiques and the École nationale d’administration. She joined the French Ministry of Foreign Affairs in 1986 and has held numerous positions in government over her career, including Legal Advisor for European Affairs, First Counsellor at the French Embassy in London, Deputy Director for European Cooperation with the Ministry of Foreign Affairs, and most recently as Cultural Counsellor of the French Embassy in the United States. Ms. Rispal has also served as Director of Americas and the Caribbean and Senior Officer for Gender Equality with the Ministry of Foreign Affairs. ​​George D. Schindler is President and Chief Executive Officer of CGI and a member of its Board of Directors. He was appointed to the position in October 2016 to lead the development and execution of the company’s “Build and Buy” profitable growth strategy. Under his leadership, CGI’s professionals around the world partner with clients to lead, innovate and deliver on the transformational power of technology in a digitally connected world. ​​Alain Bellemare (MBA’93) was appointed President and Chief Executive Officer, Bombardier Inc. on February 13, 2015. He is also a member of the Corporation’s Board of Directors and a member of the Desautels Faculty Advisory Board. Prior to his appointment, Mr. Bellemare was President and Chief Executive Officer of UTC Propulsion & Aerospace Systems from July 2012 to January 2015. Mr. Bellemare began his career with UTC at Pratt & Whitney Canada in 1996 as Vice President of Manufacturing. He held leadership roles of increasing responsibility at UTC including President of Pratt & Whitney Canada (2002), President of Hamilton Sundstrand (2009), and Chief Operating Officer of UTC Propulsion & Aerospace Systems (2011). Before joining Pratt & Whitney Canada, Mr. Bellemare spent more than 12 years in a variety of engineering and manufacturing positions with Kraft Canada and Crown Cork & Seal Canada. Based out of Montreal, Bonlook is an eyewear brand and retailer disrupting the optical industry. Growing fast and with a strong customer base in the US and Canada, it believes in changing the status quo and delivering excellence in design, service and value. Bonlook takes eyewear from seeing to being seen. ​​Kathleen Weil is a politician in Quebec, who was elected to represent the riding of Notre-Dame-de-Grâce in the National Assembly of Quebec in the 2008 provincial election. She is a member of the Quebec Liberal Party and a provincial cabinet minister of Immigration, Diversity and Inclusiveness. Weil studied at McGill University and received a bachelor's degree in history and political sciences in 1978 and a degree in civil and common law in 1982 before being admitted to the Bar of Quebec in 1983. In addition to her law practice, she was heavily involved from 2000 in the health and social services sector, being an administrative member for the Montreal Children's Hospital. Before entering politics, she was President CEO of the Foundation of Greater Montreal. ​Mitch Garber is the CEO of Caesars Ac­quisition Company, and owner of six casi­no resort properties in Las Vegas, New Orleans and Baltimore as well as the World Series of Poker. He was one of the founding investors of Caesars Interactive Entertainment which announced the sale of it’s social games assets to a Chinese consortium including Giant Inter­active and Alibaba founder Jack Ma in July of 2016, for approximately 4,4 billion USD. He is also currently the Chairman and a minority shareholder in Cirque Du Soleil following the TPG/Fosun led buyout in 2015 in which he participated. Mr. Garber has successfully led companies on the Nasdaq, Toronto, and Lon­don stock exchanges as well as private com­panies controlled by private equity firms TPG and Apollo. He was formerly a Dragon on the business TV show Dans l'oeil Du Dragon, and is Co-President of the 2016 Centraide campaign. He holds a BA from McGill University and a law degree for the University of Ottawa. He is a recipient of a McGill Desautels Management Achievement Award. March 10: Paul Desmarais Jr.
​Mr. Desmarais is Chairman and Co-Chief Executive Officer of Power Corporation and Executive Co-Chairman of Power Financial. He joined Power in 1981 and assumed the position of Vice-President the following year. In 1984, he led the creation of Power Financial to consolidate Power’s major financial holdings, as well as Pargesa Holding SA, under a single corporate entity. Mr. Desmarais served as Vice-President of Power Financial from 1984 to 1986, as President and Chief Operating Officer from 1986 to 1989, as Executive Vice-Chairman from 1989 to 1990, as Executive Chairman from 1990 to 2005, as Chairman of the Executive Committee from 2006 to 2008 and as Executive Co-Chairman from 2008 until today. He also served as Vice-Chairman of Power Corporation from 1991 to 1996. He was named Chairman and Co-CEO of Power Corporation in 1996. He is a director of many Power group companies in North America, including Power Financial, Great-West Lifeco, Great-West Life, Great-West Life & Annuity, London Life, Canada L.ife Financial, Canada Life, Putnam Investments, IGM Financial, Investors Group and Mackenzie. In Europe, he is Vice-Chairman of the Board of Groupe Bruxelles Lambert, and a director of Total, LafargeHolcim and SGS. Mr. Desmarais is Chairman of the Board of Governors of The International Economic Forum of the Americas (Canada), a Trustee of The Brookings Institution, Co-Chair of the Brookings International Advisory Council and a member of the Brookings Executive Committee (Washington), a member of The Business Council (United States) and immediate Past Chairman and a member of The Business Council of Canada. He is also active on a number of philanthropic advisory councils. In 2005, he was named an Officer of the Order of Canada and he received the Executive of the Year Award from the Academy of International Business. In 2009, he was named an Officer of the Ordre national du Québec and in 2012, Chevalier de la Légion d’honneur in France. He holds a number of honorary doctorates. He obtained a Bachelor of Commerce degree from McGill University and a MBA from the European Institute of Business Administration (INSEAD), France. In her role as President and CEO of GE Canada and Vice President GE, Elyse Allan is a passionate champion for Canada’s competitiveness, advancing the country’s science and technology base and competitive fiscal policy. Ms. Allan serves on the Board of Directors for the C.D. Howe Institute and the Conference Board of Canada. As well, she recently completed her Board term at the Canadian Council of Chief Executives and the Canadian Chamber of Commerce, where she also served as Chair. Elyse works to advance innovation and entrepreneurism through her role on the MaRS Discovery District Board of Directors and the leadership council for Scale Up Ventures. She has been recognized as a Top 100 Women of Influence by the Women’s Executive Network, is a YWCA 2012 Woman of Distinction (Business), and by Maclean’s and Canadian Business Magazines as one of Canada’s most influential business leaders. In 2014, Elyse was appointed Member of the Order of Canada for her community engagement and achievements as an innovative business leader. ​General Vance was born in Kingston, Ontario and grew up in a military family. He started uniformed life at the age of 13 as an army cadet in Germany. General Vance joined the Canadian Armed Forces in 1982 and has served in Canada, Germany and on UN Peacekeeping operations. He has commanded at all levels within the field force from platoon commander to brigade commander and in combat operations as a Joint Task Force Commander. He commanded the Canadian Mechanized Brigade Group in Edmonton from 2006 to 2008 and subsequently deployed as Commander Joint Task Force Afghanistan and Task Force Kandahar in 2009 and again in 2010. General Vance was promoted to his current rank and formally appointed as the Canadian Armed Forces Chief of the Defence Staff in July 2015. As Chief of the Defence Staff, Mr. Vance has direct responsibility for the command, control and administration of the Canadian Forces. Whenever required, the CDS also advises the Prime Minister and Cabinet directly on major military developments and issues. The Chief of the Defence Staff is the senior serving military advisor to the Government of Canada. Named Canada's Outstanding CEO of the Year for 2012, Alain Bouchard is a natural-born entrepreneur; he has over 45 years of experience in the retail industry and started his operations in 1980 with the launch of his first convenience store in Québec. He is the founder of the companies from which Alimentation Couche-Tard originated. Over the past three decades, he took part, along with his closest collaborators, in Couche-Tard's growth, including the acquisition of Circle K and The Pantry networks in North America, Statoil Fuel and Retail and Topaz Energy Group in Europe to name but a few. Couche-Tard's network comprises more than 12,000 stores and approximately 125,000 people are employed throughout its network. In September 2014, he stepped down from his President and CEO role, a position that he held since February 1980. He remains active in Couche-Tard as Founder and Executive Chairman of the Board. He serves on the Board of Directors of CGI Group and has served on the Board of Directors of Quebecor Inc. (1997-2009). In 2012, he and his wife Sandra also created the Alain and Sandra Bouchard Foundation which supports various causes associated with people living with intellectual disabilities and cultural projects. Named “Entrepreneur of the Decade” by Profit Magazine in 2011, Stephan Cretier is the Founder, Chairman, President and CEO of Garda World Security Corporation, a US$1.3 billion full service security provider with 45,000 dedicated professionals. Mr. Cretier founded GardaWorld in 1995 with an investment of C$25,000 from a second mortgage on his home and grew it to become one of the ten largest security providers globally. He recently led a transaction valued at C$1.1 billion to take GardaWorld private. Mr. Cretier is an engaged entrepreneur, business person and philanthropist. He plays an active role as a board member of several organizations, including the Montreal Economic Institute, a leading free market think-tank. Active in the community, he has presided over several successful charity events in recent years, including the Daffodil Ball, Canada’s largest charity event for the Canadian Cancer Society. In 2008, he launched the Cretier Foundation, dedicated to crime prevention and helping young artists in emerging Middle Eastern markets. Isabelle Hudon is Executive Chair, Quebec, for Sun Life Financial. From 2004 to 2008 Ms. Hudon was President and Chief Executive Officer of the Board of Trade of Metropolitan Montreal, where she contributed significantly to the revitalization of the Board’s activities. She then served as President of Marketel, a position she held until joining Sun Life Financial. In February 2015, Finance et Investissement named Ms. Hudon to one of the first five positions on its annual ranking of the Top 25 in Quebec’s financial industry. In 2014, Ms. Hudon was inducted into the Canada’s Most Powerful Women: Top 100 Hall of Fame, after being named to this list in 2006, 2012 and 2013. As well, she received the Réalisations award from the Réseau des femmes d’affaires du Québec in 2014. She is also a recipient of the Queen Elizabeth II Diamond Jubilee Medal for helping raise awareness of the importance of culture in Canada, and in 2005 she was named one of the 40 most successful Canadians under the age of 40 (Canada’s Top 40 under 40). Ms. Hudon is very active in the business community and sits on the boards of many organizations. She is currently a board member of Hydro-Québec, Holt Renfrew Canada, the Mount Royal Club and the Canada Council for the Arts. Isabelle Hudon is also enrolled in the corporate governance program at the Collège des administrateurs de sociétés, affiliated with Université Laval. She is a past member of the federal government’s advisory council created to promote the participation of women on corporate boards. She is also the co-founder of the Effet A, a movement to help women to achieve their professional ambitions. Prior to his appointment, Mr. Desjardins-Siciliano was the Corporation's Chief Corporate & Legal Officer and Corporate Secretary since 2010. An experienced lawyer and seasoned executive, he is a member of the Quebec Bar Association. He holds a law degree (LL.B.) from l’Université de Montréal and he completed Graduate Studies in Law (GSD) at McGill University. He also has a designation from the Institute of Corporate Directors (ICD.D). With proven experience, he has held several positions in the past in legal, regulatory and government relations, business and corporate development, marketing communications and finance. In Montreal and Toronto, he worked for private and publicly held companies, in the information technology, telecommunications, marketing and entertainment industries. Past President of the Canadian Bar Association, Quebec Division, Mr. Desjardins-Siciliano was also Chief of Staff to the federal Minister of Labour and Minister of State for Transport from 1989 to 1991. Inez Jabalpurwala, MBA'01, has been president and CEO of Brain Canada since 2001. Brain Canada is a national non-profit organization that supports brain research. In 2007, Ms. Jabalpurwala was named one of Canada’s Most Powerful Women: Top 100 by the Women’s Executive Network, in the “Trailblazers and Trendsetters Category”. Prior to working her current position, she worked as executive director and senior investment analyst at Graham Boeckh Foundation/Boeckh Investments Inc. Before this, she was director of development for Canada World Youth and the Montreal Children’s Hospital Foundation. She currently serves on the Executive of the board of Equitas—International Centre for Human Rights Education. She is a mentor with the McGill University MBA program. Ms. Jabalpurwala is a member of the Economic Development and Public Finance committee of the Board of Trade of Metropolitan Montreal, and a member of the Association of Quebec Women in Finance. She is also on the Executive of the Board of the McGill University Alumni Association. Alain Bellemare (MBA’93) was appointed President and Chief Executive Officer, Bombardier Inc. on February 13, 2015. He is also a member of the Corporation’s Board of Directors and a member of the Desautels Faculty Advisory Board. Prior to his appointment, Mr. Bellemare was President and Chief Executive Officer of UTC Propulsion & Aerospace Systems from July 2012 to January 2015. Mr. Bellemare began his career with UTC at Pratt & Whitney Canada in 1996 as Vice President of Manufacturing. Sophie Boulanger, BCom’03 is the founder of Bonlook, an online vertically integrated eyewear brand and retailer. Its mission is to revolutionize the optical industry by offering a fashionable high quality product at an unparalleled value. Chris Arsenault is a senior executive with over 15 years of general management experience in high technology industries, with extensive experience in business development, strategic planning, sales, marketing and communications. Eduardo Mandri, MBA’00 is Co-Founder of Tuango, Quebec's first and largest group buying website with offices in Montreal, Quebec City and Gatineau-Ottawa. With over 1.2 million subscribers, Tuango offers businesses a no-risk, high-ROI way of promoting their products and services to its large consumer base while providing its subscribers with access to hundreds of unbeatable offers. Brian Porter joined Scotiabank in 1981, and has progressed through a series of increasingly senior positions across the Bank, including executive roles with Global Banking & Markets, Global Risk Management, Group Treasury and International Banking. He served as the Bank’s Chief Risk Officer from 2005 to 2008, as Group Head of Risk & Treasury from 2008 to 2010 and as Group Head of International Banking from 2010 to 2012. He was appointed President of Scotiabank in November 2012, and was elected to the Scotiabank Board of Directors in April 2013. Mr. Porter assumed the role of Chief Executive Officer on November 1, 2013. Mr. Porter often speaks about the importance of having a long-term view over career prospects and speaks against using compensation and short-term timeframes in making decisions. The ability to satisfy his curiosity and ambition to broaden his career prospects are some of the key metrics around which he has designed his professional life. November 21: Paul Desmarais Jr.
Paul Desmarais Jr., son of one of Canada’s most renowned billionaires and entrepreneurs, Paul Desmarais, has created a new generation of success for his family business as co-CEO, along with his brother Andre. 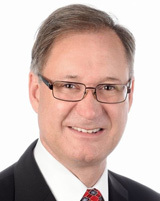 While serving as board member and director (both non-executive and independent) for a multitude of different companies, Mr. Desmarais has gained exposure to the finance and insurance industries as well as many other businesses across the world. On top of being a successful investor, Mr. Desmarais is passionate about philanthropy, politics and giving back to the community as a whole. Bill Currie is best known for his work in Canadian productivity and competitiveness where he has performed an in-depth Deloitte study of the factors which limit the Canadian productivity growth and the steps needed to re-draw the country’s productivity trajectory. While working in 30 countries (including the United States, the United Kingdom, India, Iran, Hong Kong, Japan, Brazil, Colombia, Argentina, and Mexico. ), Bill Currie has acquired a global perspective on Canadian business issues. Moreover, Bill believes that thinking outside the box, creativity, good communication, lateral thinking and the ability to solve business problems are the key differentiators of future Deloitte employees. What has shifted society to a food obsession? How can we, as business students, leverage this new and growing market as we approach our own careers and look for new opportunities? What can we learn from an industry that requires the right balance of creativity and business sense? Desautels is proud to announce that we will be providing an opportunity to explore this theme at our first CEO Speaker Series of the semester. The three owners of critically acclaimed Montreal restaurant Nora Gray will be with us to discuss their experiences in the Canadian restaurant industry. Come join us as we discuss with these prominent Montreal restaurateurs (voted Top 10 new restaurants in Canada in 2012) how they succeeded in staying true to their art, while at the same time running a successful business! Lisa Mierins Smith is President and CEO of the Mierins Automotive Group, an Ottawa based automotive dealer group that owns and operates eleven car dealerships. Her charitable and community work has focused on Cystic Fibrosis, Ronald McDonald House, Leucan, The Ottawa Snowsuit Fund and Selwyn House School. 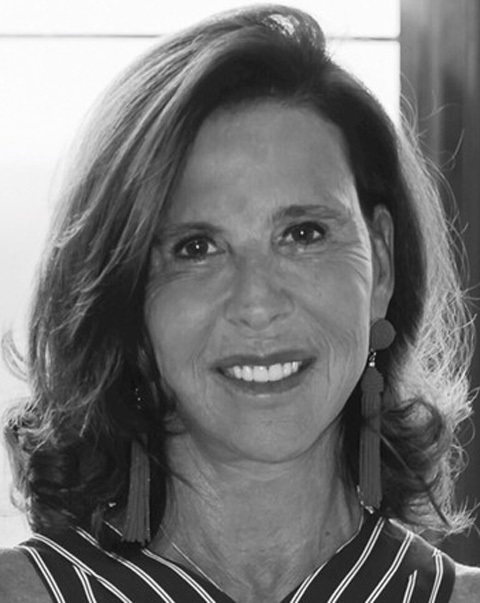 Currently, she is a member of the Mercedes Benz Marketing Board, Jewish General Hospital Foundation Board, YPO and is a former member of the Board of Directors of The Study and The Canadian Retail Marketing Board. Lisa was honored in 2010 by the Weizmann Institute as one of twelve Montreal women for her outstanding contribution to both business and philanthropy. Lisa was raised by two remarkable parents, a self made, loving and hard working father who helped her develop an incredible work ethic and a mother who gave her the confidence to step out of her comfort zone and break the barriers of the glass ceiling. Lisa is married to Mark, and together they have five wonderful children, Philippe, Michael, David, Carolyn and Patrick, who are the light of her life and inspire her every day. Finally, Lisa strongly believes that success is not measured by what one takes out of life but rather by what they are able to give back. Mr. Javier San Juan is President and Chief Executive Officer of L’Oréal Canada, where he started in April 2006, subsequent to a 17 year career path within the L’Oréal Group. He now manages the 7th most important business subsidiary of the multinational in the world, one of the most flourishing of the 130 other group holdings, taking into account maturing markets. Mr. San Juan took on the mandate of developing, at a rate twice as fast as the cosmetic market, the Group’s diversified brands. Whether originating from Europe, like Lancôme, Yves Saint-Laurent, Giorgio Armani and L’Oréal Paris, or from North America like Maybelline New York, Redken and Kiehl’s, or from Asia like Shu Uemura, the brands which make up L’Oréal’s Canadian portfolio emerge from such diverse worlds as luxury, professional salons, pharmacy and consumer distribution. This diversity allows L’Oréal Canada to accomplish its mission: to improve the quality of life of our consumers, giving access to beauty day after day, within the reach of every woman and every man. Equipped with a Master’s Degree in Law and a Master’s Degree in Economy from the University ICADE in Spain, as well as a Master’s Degree from HEC Paris, Mr. San Juan began his international career at the head office of the pharmaceutical group Sandos (known today as Novartis) and he also worked at one of its subsidiaries in the Philippines as Financial Manager. Extremely engaged with the countries he passed through during his career, Mr. San Juan speaks four languages. He is a member of the Young Presidents’ Organization, a Board Member of the Luminato Festival in Toronto, a Board Member of Business for the Arts as well as an Advisory Board Member of Schulich School of Business at York University, a member of the Board of Directors of Just for Laughs and a member of the “Comité de pilotage du Plan d’action 2007-2017 – Montréal, métropole culturelle”. He also collaborates for Undergraduate and MBA Programs at HEC Montreal. Mr. San Juan is the proud father of three girls, the youngest of which is a little Canadian born in January 2008. Marc Poulin, President & CEO, Empire Company and Sobeys Inc.
Marc Poulin is the President and Chief Executive Officer of its wholly-owned subsidiary Sobeys Inc., a leading Canadian grocery retailer and food distributor. He is a member of the Board of Directors Empire Company Limited. A native of Québec, Mr. Poulin has more than 30-years experience in the food retailing, packaged goods and financial services industries. Between 1986 and 1996 Mr. Poulin held a variety of progressively senior retail marketing and management roles with Provigo Distribution, Culinar Inc. and Desjardins-Laurentian Life Group. In 1997 he joined the Oshawa Group as Vice President, Grocery Merchandising and in 2001 was appointed President of Operations, Sobeys Québec. In 2011, he was appointed President, Sobeys IGA Operations, the position he held immediately prior to being named President & Chief Executive Officer of Sobeys Inc. In 2013 Mr. Poulin was appointed to the Board of Directors of Richelieu Hardware (TSX:RCH), a Quebec-based importer and distributor of specialty hardware products. Mr. Poulin is also an active member of his community serving on the Board of Directors for the Montréal Heart Institute Foundation, as a volunteer for the United Way of Greater Montréal and as President of the Québec Chess Federation. He is a past board member of the Montreal Board of Trade and a former participant (1987) in the Governor General's Canadian Leadership Conference. In 2010, he was recognized as one of Québec's top business leaders by Perform Québec. 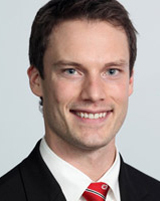 Mr. Poulin has a Bachelor of Actuarial Science degree from the Université Laval and holds a Masters of Management (Marketing) degree from the J.L. Kellogg Graduate School of Management at Northwestern University. A native of St-Timothée, Québec, Dr. Fortier is a graduate of McGill, where she received a BSc (1972) and a Ph.D. in Crystallography (1976). While at McGill, she was awarded both an Entrance Scholarship and the R.P.D. Graham Scholarship for an exceptional student in Geological Sciences. Dr. Fortier has served most recently as President of the Natural Sciences and Engineering Research Council of Canada (NSERC). Before her appointment as President of NSERC in January 2006, Dr. Fortier held the posts of Vice-Principal (Research) from 1995 to 2000 and Vice-Principal (Academic) from 2000 to 2005 at Queen's University in Kingston, Ontario, where she was also a Professor in the Department of Chemistry and in the School of Computing. Dr. Fortier is a crystallographer by training, specializing in the development of mathematical and artificial intelligence methodologies for protein structure determination. She has also made contributions to the development of novel techniques in crystallographic data mining to gain new insights from the large structural databases. She was a member of the Protein Engineering Network of Centres of Excellence (PENCE), the Institute for Robotics and Intelligent Systems (IRIS) and Communications and Information Technology Ontario (CITO). She has authored or co-authored over 80 scientific publications and had made numerous invited scientific presentations. She has received the Clara Benson Award for distinguished contributions to chemistry by a woman (1997), the Entrepreneurship Award from Communications and Information Technology Ontario (1997), the Queen's University Distinguished Service Award (2005), an Honorary Doctor of Letters degree from Thompson Rivers University in British Columbia (June 2006) and the Queen Elizabeth II Diamond Jubilee Medal (2012). She is also a fellow of the American Association for the Advancement of Science and an officer of France’s National Order of Merit. Dr. Fortier served as a member of the Board of Directors of the Ontario Centres of Excellence Inc., the Board of Governors of the Royal Military College of Canada and the federal government's Council of Science and Technology Advisors (CSTA). 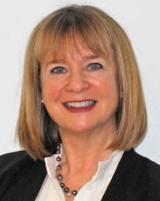 She is currently a member of the Board of Directors of the Canada Foundation for Innovation, the Strategic Committee of Investissements d’Excellence Bordeaux, Steering Committee of the Networks of Centres of Excellence and the Ontario Task Force on Competitiveness, Productivity and Economic Progress. Mitch Joel is president of Twist Image - one of the largest independent Digital Marketing agencies in North America. Marketing Magazine dubbed him the "Rock Star of Digital Marketing" and called him, "one of North America's leading digital visionaries." Mitch is a past Chairman of the Board of Directors of the Canadian Marketing Association and a former Board Member of the Interactive Advertising Bureau of Canada. Mitch speaks frequently to diverse groups like Wal-Mart, Starbucks, Nestle, Procter and Gamble, Unilever and has shared the stage with former President of the United States, Bill Clinton, Sir Richard Branson, Malcolm Gladwell, Anthony Robbins, Tom Peters and Dr. Phil. He is also a regular columnist for the Harvard Business Review, The Huffington Post and other magazines and newspapers. His first book, Six Pixels of Separation (published by Grand Central Publishing - Hachette Book Group), named after his successful Blog and Podcast is a business and marketing bestseller. His latest book, CTRL ALT Delete, (also published by Grand Central Publishing) is available now. Headquartered in Montreal, Canada, Twist Image is an award-winning digital marketing agency that connects today's channels to tomorrow's world by applying technology at every marketing touchpoint. Founded in April 2000, Twist Image is about more than business. It's about making business personal and helping clients get what they want – and what they need – by developing multimarketing programs that engage their consumers in meaningful and measurable conversations. The Desautels Faculty of Management is extremely proud to host Mr. Aldo Bensadoun, BCom'64, LLD'12, whose privately held ALDO Group, now spanning over 1700 stores in 80 countries, saw its start right here in Montreal. The ALDO group now boasts shoe sales of over $1.8 billion annually and continues to expand globally with no sign of abatement. Today, the ALDO Group operates more than 1000 retail stores across Canada, the United States, the United Kingdom and Ireland, under 4 distinct brands: ALDO, CALL IT SPRING, LITTLE BURGUNDY and GLOBO. Mr. Bensadoun is known equally well for his tremendous efforts in the realms of philanthropy & outreach and is involved with the Retail Council of Canada, the International Council of Shopping Centers and the National Retail Federation. He is a board member of Aritzia, a Canadian fashion brand with increasing international and celebrity appeal, and Hope and Cope, a Montreal-based, non-profit organization that has served as a model for its unique psychosocial approach to cancer care. Beyond the Rack is a private shopping club for women and men who want designer brand apparel and accessories at prices up to 80% off retail. BTR obtains authentic designer merchandise and provides it exclusively to members through limited-time events. Each event starts at a specific time and typically lasts only 48 hours. After each event ends the merchandise is no longer available. Members are notified by email in advance of each upcoming event according to their preferences. Prior to overseeing BTR’s meteoric growth, Mr. Shtern served as Chief Marketing Officer at Ice.com from July 2007 to September 2008, Chief Executive Officer of Gosh Marketing from April 2002 to June 2007, Chief Marketing Officer at My Virtual Model from 2002 to 2003. He served as Vice President Marketing at Fido from 1999 to 2002, Vice President, Direct and Database Marketing at Saks Fifth Avenue from 1997 to 1999, and Director of Direct Marketing at Avon Products from 1989 to 1997. Mr. Ellis Jacob has been working in the motion picture exhibition industry since 1987. Prior to assuming his current positions as President and CEO of Cineplex Entertainment, Mr. Jacob was CEO and Co-Founder of Galaxy. Prior to founding Galaxy, Mr. Jacob represented Alliance Atlantis Communications Inc. as Head of Integration in 1998 and 1999. Mr. Jacob is a director and member of the finance committee of the Toronto International Film Festival Group. He is a director of the Motion Picture Theatre Associations of Canada, as well as a member of the board of directors and the executive committee of the National Association of Theatre Owners. In addition to his role as a Director, Mr. Jacob is also a member of the board of directors and chair of the audit committee for Husky Injection Molding Systems Ltd. Additionally, he is a member of the board of directors and of the audit committee for Dundee Corporation and Dundee Capital Markets Inc.
Mr. Jacob is an active community member, currently serving as a member of the board of directors for the Baycrest Centre for Geriatrics, a member of Baycrest’s Strategic Planning Committee, chair of Baycrest’s Finance and Audit Committee, and a member of the Board of Governors for Mount Sinai Hospital. He holds a Bachelor of Commerce from McGill University, an MBA from the Schulich School of Business, and an ICD.D designation from the Institute of Corporate Directors. He was appointed a Member of the Order of Canada in 2010. ​Robert J. Deluce is one of Canada’s most knowledgeable and respected airline owners and operators. He brings to the industry over 50 years of Deluce family experience in successfully owning, financing, restructuring, operating and managing a number of regional airlines in Canada. He has been President of Deluce Capital Corp. since 1987, and is currently President and CEO of both Porter Aviation Holdings Inc. and its wholly-owned subsidiary Porter Airlines Inc. Mr. Deluce graduated from McGill University with a B.Sc. degree in 1971. Dr. Munroe Blum is an accomplished scholar in the fields of psychiatric epidemiology and public policy, a distinguished administrator, and a professor at McGill’s Faculty of Medicine. She has dedicated her career to the advancement of higher education, science and innovation, in Canada and internationally. Dr. Munroe-Blum advises governments on the role that progressive public policy, policies concerning universities, health, research and highly qualified talent play in enriching society and enhancing international competitiveness. She is the author of the groundbreaking report Growing Ontario’s Innovation System: The Strategic Role of University Research. Kevin Crull is President of Bell Media, Canada's premier multimedia company, which owns and operates 28 conventional channels, including CTV, Canada's #1 television network, 30 specialty channels (including TSN, RDS, Discovery, Much, E!, Comedy, and SPACE), 33 radio stations, 55+ websites, Sympatico.ca and Dome Productions. Crull joined Bell Media (formerly CTVglobemedia) in November 2010 as Chief Operating Officer. Upon the closing of BCE's acquisition of CTVglobemedia on April 1, 2011, Crull assumed the position of President, Bell Media. Prior to Bell Media, Crull served as President of Bell Residential Services (BRS), a national business unit of Bell Canada that provides Bell TV, Bell Internet and Bell Home Phone services to millions of Canadians. Under his leadership, the BRS team delivered industry-best financial and operating results and built world-class businesses, including Canada's #1 Internet and online portal services, the nation's leading digital HD provider Bell TV and, most recently, Bell Fibe TV, the next generation TV service delivered over Bell's broadband fibre network. In his five years with Bell (2005 to 2010), Crull grew Bell TV from 20 HD channels to an industry-leading 100-plus today, while doubling revenue, increasing subscribers by one-third and delivering significant profitability improvement. Claude Mongeau became President and Chief Executive Officer of CN on January 1, 2010. He joined CN in May 1994 and has held the positions of Vice President, Strategic and Financial Planning, and Assistant Vice President, Corporate Development. He was appointed Executive Vice President and Chief Financial Officer in October 2000. Prior to joining CN, Mr. Mongeau was a partner with Groupe Secor, a management consulting firm providing strategic advice to large Canadian corporations. He also worked in the business development unit of Imasco Inc., a diversified holding company. His career started in Europe with Bain & Company, a leading American consulting firm. Mr. Mongeau graduated from McGill’s MBA program in 1988. Mr. Fetherstonhaugh has a unique vantage point on how brands are built, how corporate cultures are created, and what happens as the world goes digital. In the course of the past 25 years, he has worked hands-on with many of the world’s leading brands including, IBM, American Express, Cisco, Coca-Cola, Motorola, Unilever, Nestlé, Kodak, and Yahoo! Today, he leads OgilvyOne Worldwide, the interactive marketing and consulting arm of the Ogilvy Group. With more than 4,000 staff in 50 countries, OgilvyOne is at the forefront of the digital revolution. In 2007 and 2009, the Forrester Report ranked Ogilvy as a leading U.S. interactive agency. Born and raised in Montreal, Mr. Fetherstonhaugh graduated from McGill’s BCom program in 1979. ​Réjean Robitaille has been at the helm of Laurentian Bank since December 2006. Over the course of his 22-year career at the Bank, he has occupied numerous progressively responsible positions, including Senior Executive Vice-President and Chief Operating Officer as of June 2006, Senior Executive Vice-President of Retail and Commercial Financial Services which he assumed in August 2005, Executive Vice-President of Retail Financial Services from 2003 to 2005, and Senior Vice-President and Treasurer from 2001 to 2003. In February 2010, Finance et investissement magazine named him Québec Financial Personality of the Year, most notably due to the Bank’s record performance over three consecutive years within a particularly difficult economic context. Mr. Robitaille holds a Bachelor’s degree in Business Administration from HEC Montréal, and in 2010, he was named a Fellow of the Québec Order of Chartered Accountants. Heather Reisman, Chief Executive Office, Indigo Books and Music Inc.
Heather Reisman is the founder and CEO of Indigo Books & Music Inc., Canada's largest book retailer. Ms. Reisman was born in Montreal and educated at McGill University, BA’1986. For the first 16 years of her career she was Managing Director of Paradigm Consulting, the strategy and change management firm she co-founded in 1979. Paradigm was the world's first strategic change consultancy and pioneered many organizational change strategies still in use today. In 1992, Ms. Reisman left Paradigm to become President of Cott Corporation. During her tenure as President, Cott grew from a Canadian-based regional bottler to the world's largest retailer-branded beverage supplier. Harvard wrote two case studies focusing on the company's growth and development under her leadership. In 1996, Ms. Reisman launched Indigo Books & Music Inc. Conceived as the booklovers' cultural department store, bringing Indigo to life was the culmination and integration of a life long passion for books and music, and an entire career focused on understanding and building advanced organizations. Ms. Reisman is a former member of the McGill University Board of Governors and of the Toronto Stock Exchange. She has served on many North American boards including Magna International, Suncor, and Rogers Communications Inc., and continues to serve on the board of Onex Corporation and Right to Play. She is also a Director and Officer of Mount Sinai Hospital, and a member of the Bilderberg Steering Committee, a geo-political think group. She is the recipient of several awards including Waterloo Entrepreneur Hall of Fame, University of Waterloo; International Distinguished Entrepreneur Award, University of Manitoba; and the John Molson School of Business Award of Distinction, Concordia University. In June 2006 she was the recipient of an Honorary Doctorate of Commerce Degree from Ryerson University. In her role as President and Chief Executive Officer of GE Canada, Elyse is responsible for growing GE’s business in Canada and advancing the company’s leadership in advanced technology, services and finance. Prior to her current role, Elyse was President and CEO of the Toronto Board of Trade and, before that, a senior executive at Ontario Hydro. She sits on several Boards of Directors including the Canadian Council of Chief Executives, the C.D. Howe Institute, the Royal Ontario Museum and the Canadian Chamber of Commerce. Elyse is a passionate champion for Canada’s competitiveness and she is active in many issues that influence the country’s productivity and competitive advantage. Pierre Boivin, President and Chief Executive Officer, Claridge Inc.
Pierre Boivin, President and Chief Executive Officer of Claridge Inc., is a builder and corporate leader. As President and CEO of the Montreal Canadiens and evenko from 1999 to 2011, he managed for almost twelve years, all professional sports, cultural and entertainment activities presented by the two divisions. Pierre Boivin was appointed President and Chief Executive Officer of Canstar Sports Inc. in 1994, a Montreal-based public company and a world leader in the hockey equipment industry. In 1995, Canstar was acquired by Nike, Inc. and became Bauer Nike Hockey Inc. Pierre remained as President and CEO of the new company until 1999. From 1993 to 1994, Pierre Boivin held the position of President and Chief Executive Officer of Weider Sporting Goods Inc., a world-leading sports and fitness equipment manufacturer based in Los Angeles. He founded Norvinca Inc. in 1979 and the company rapidly became the most important sporting goods distributor in Canada. The company was acquired by the Benetton Sports Group in 1992. As one of the leaders of DAVIDsTEA, David flexes his flare for entrepreneurship and experience in retail to bring the limitless possibilities of loose leaf tea to people throughout North America. David set out to break the notion that tea is serious and consists simply of a small bag of leaves. Traveling the world to create exclusive blends, and sourcing tea leaves, herbs and spices, previously not available on these shores, David aims to make tea accessible and exciting for all. Working in retail since the age of 14, David had exposure and experience on the front lines, connecting the customer to the product. It’s this experience that piqued his interest and stayed in his blood. Following graduation from McGill in 2004, with a business degree in Entrepreneurship and English Literate, and after visiting a Montreal tea shop, David was inspired to open a tea shop and hit the ground running with his entrepreneurial spirit and business savvy. Now David, along with a team of passionate people, oversee the successful operations of DAVIDsTEA, which now has 70 stores throughout North America. A native of Beirut, Lebanon, Mr. Saab arrived to Montreal in 1990. Having trained as an engineer and as he earned his MBA degree from McGill University, he started his professional career with a philosophy of "reverse engineering" success. His career took a path drawn with main focus on versatility, perseverance and diversity. This path took him from Canada, through Europe to the U.S; and opened the door for him to successfully take on numerous responsibilities with global corporations including Bombardier and Nortel Networks, as well as some of the hottest start-ups in the pre-bubble era such as Sycamore Networks and Tellium. This phase ended where eXplorance was created. Since opening its doors in 2003 as a privately-held company, eXplorance earned a leadership role as a global Enterprise Feedback Management (EFM) solution provider. With esteemed customers such as NASA, the University of Pennsylvania, LendingTree.com, the National Bank of Canada, Boston College, and the University of Toronto, eXplorance is well on its way towards achieving its mission of becoming the de facto technology adopted globally by all learning related institutions. After 10 years as a buyer and manager for the Versace fashion brand in Montreal and Toronto, Alexandra obtained her MBA from McGill University in 2004. With a focus on entrepreneurship and sustainability, Alexandra went on to work as a strategic planner for American Apparel in Los Angeles. In 2006, Alexandra returned to Montreal to start her own business, Studio Breathe, a personal reflection of Alexandra's passion for healthy, conscious living. Considered the next generation of health clubs, Studio Breathe specializes in expert group instruction in Hot Yoga and Fighting Sports. An 8500 sq ft urban oasis where over 5000 individuals have taken a hot yoga or fighting sport class, Studio Breathe is an eco-chic boutique style health centre that caters to both adults and children. Currently working on a satellite expansion strategy, Alexandra looks to a future where every neighborhood has easy access to mind-body exercise and its incredible health benefits. Alexandra has a black belt in Kyokushion Karate and is a happy mom of two active boys, ages 3 and 1. Guy C. Hachey was appointed President and Chief Operating Officer of Bombardier Aerospace on April 18, 2008. Mr. Hachey heads the leadership team responsible for all operations and product business units of Bombardier Aerospace. Mr. Hachey stated his career 30 years ago with General Motors where he held numerous positions, first in Canada, then in the United States. In 1999, he joined the Delphi Corporation as President of its Chassis Systems Division. He later held the positions of Vice-President, Delphi Corporation; President, Delphi Powertrain Systems; President, Delphi Europe, Middle East and Africa, and Executive Champion for Delphi Corporation’s global manufacturing operations. A native of Charlemagne, Québec, Mr. Hachey holds a Bachelors of Commerce from McGill University, and a Masters of Business Administration from Concordia University. He completed the Tuck Executive Development Program at Dartmouth. Robert J. Deluce founded Porter Airlines with an objective to add competition to Canada’s scheduled air service landscape, providing additional choice for travellers. Mr. Deluce is one of Canada’s most knowledgeable and respected airline owners and operators. He brings to the business a history of successfully owning, financing, restructuring, operating and managing a number of airlines in Canada, including White River Air Services, Austin Airways and Canada 3000 Airlines. James Cherry joined Aéroports de Montréal as President and Chief Executive Officer in June 2001. Mr. Cherry served as Vice-President of Finance and Administration of Metro Canada Ltd.; as President of Oerlikon Aerospace; President and General Manager of Amphibious Aircraft Division of Bombardier; President and Chief Operating Officer of CAE Electronics Ltd.; and President, Chief Operating Officer, Canada and Vice-President of Alstom Transport. He spent his early career with Ernst & Young in its Consulting and Audit practices. Among his various board activities, he serves as a Director of Aeroports De Montreal, as a Director of Logistec Corp, as Chairman of St. Mary’s Hospital Foundation, as a Member of the Investment Advisory Committee at CDP Capital, and as a Member of the Board of Directors of Montréal International, Concordia University and Centraide. He served as the Chairman of the Governing Board at the Airports Council International until January 2010. He also served as a Director of Mitec Telecom Inc. from June 3, 2004 to October 19, 2007. Mr Cherry is a native of Montreal, and graduated from McGill University with a Bachelor of Commerce.